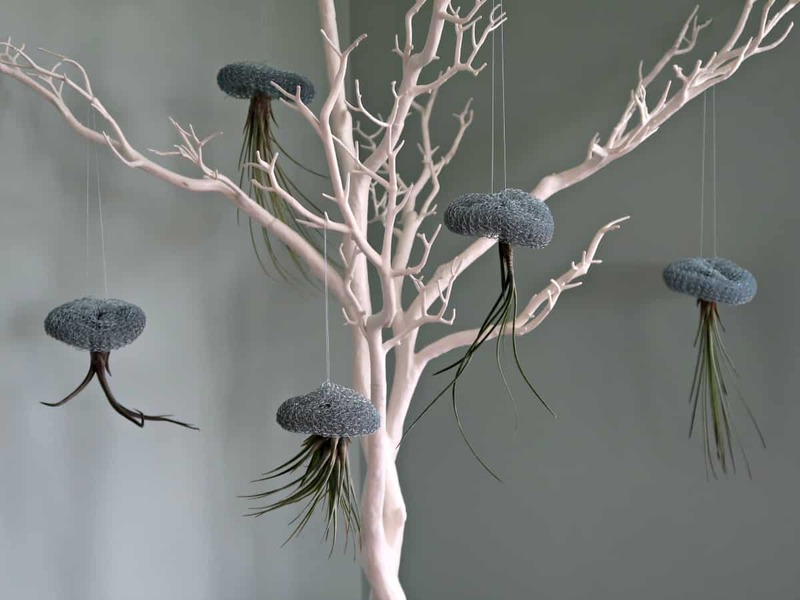 Did you know that air plants are powerful air purifiers? Or that they take up water and nutrients through their leaves? These fascinating plants are found growing on trees and rocks in their native habitats, opening up some wonderfully creative ways to display them in your homes. Air plants are described as low maintenance. They have no need for soil, and you can even remove their roots without harming them. But they do have some specific requirements. The key to air plants survival is constant air circulation. They may look pretty in a terrarium surrounded by damp moss, but they certainly won’t thrive in those conditions. More likely, they will rot and die. 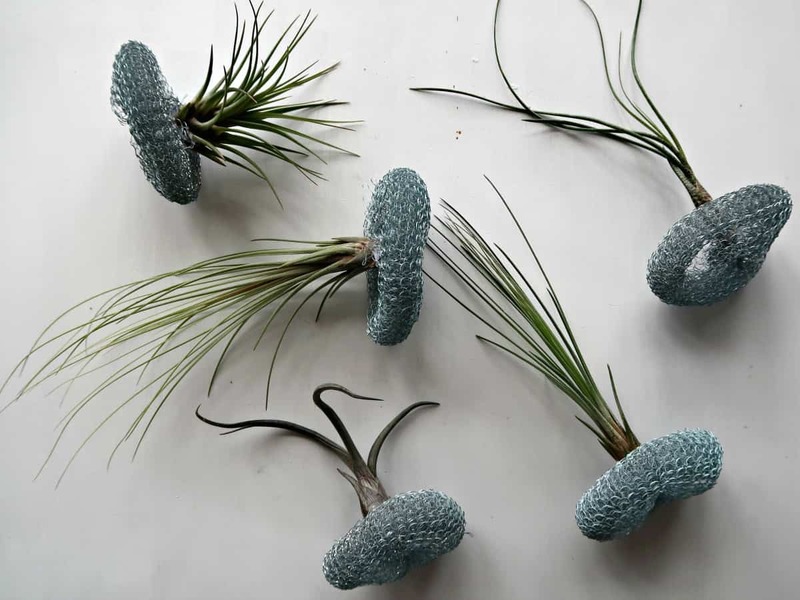 Air plants, on average, need to be watered once a week, The best way to do this is to soak them in a bowl of rain or pond water for a couple of hours. This should give them enough time to absorb the water and nutrients they need. 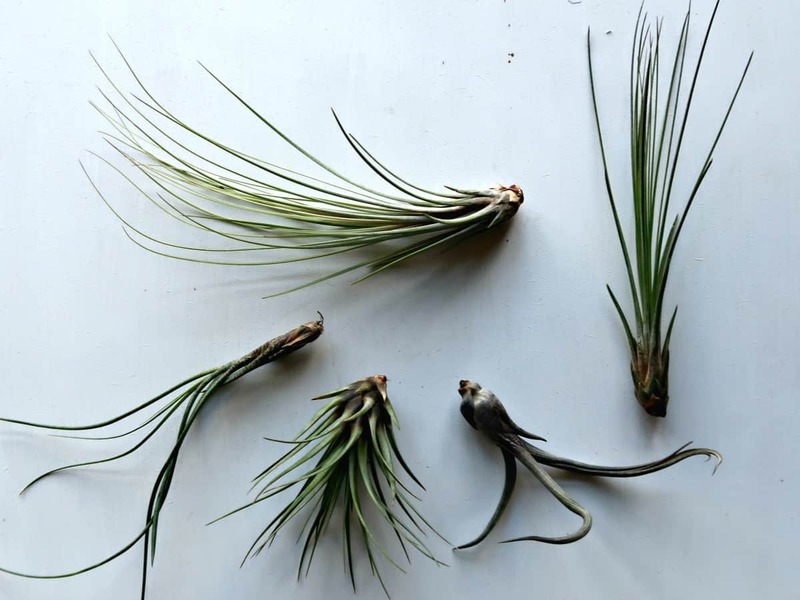 After soaking, it is crucial that air plants are given the opportunity to drain and dry thoroughly before being returned to their display. Air plants hate to have moisture lurking in their crevices and around their base. Now you know how to care for your air plants, it’s time to chose how to display them. They will happily grow standing up, upside down or at whatever angle takes your fancy. 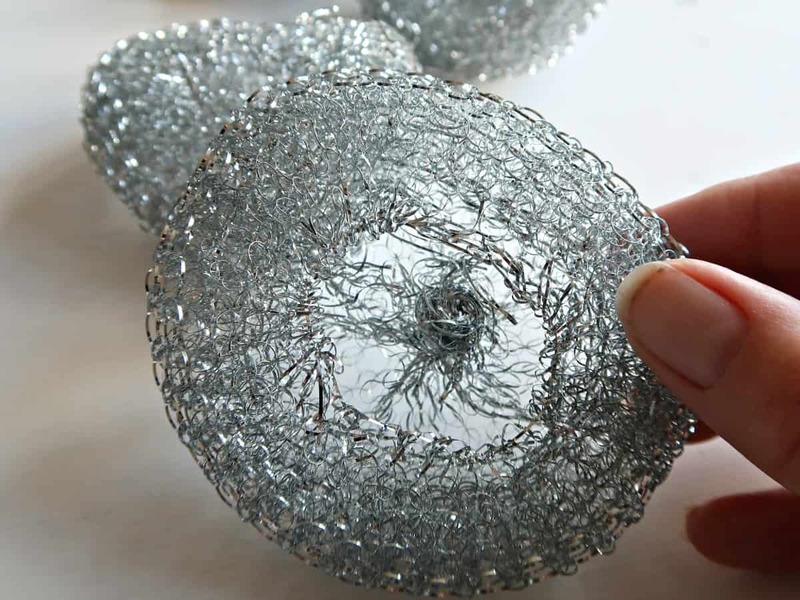 They can be glued to wood and rocks or suspended on threads. Please note that copper is toxic to air plants so should be avoided. 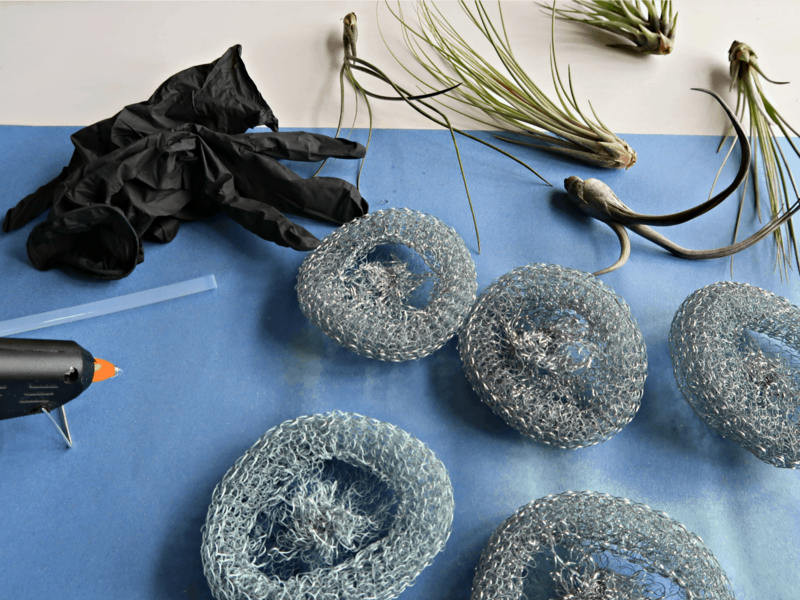 E-6000, Silicone glue and glue guns are the common adhesives used to attach air plants. If using a glue gun remember to give the glue a few seconds to cool before attaching your plants to ensure you don’t burn them. 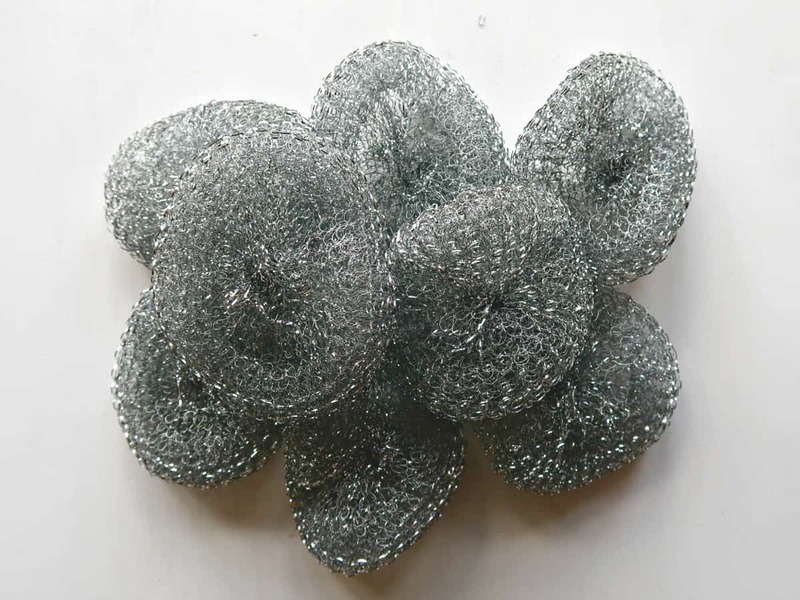 Wire scourers are my new obsession. 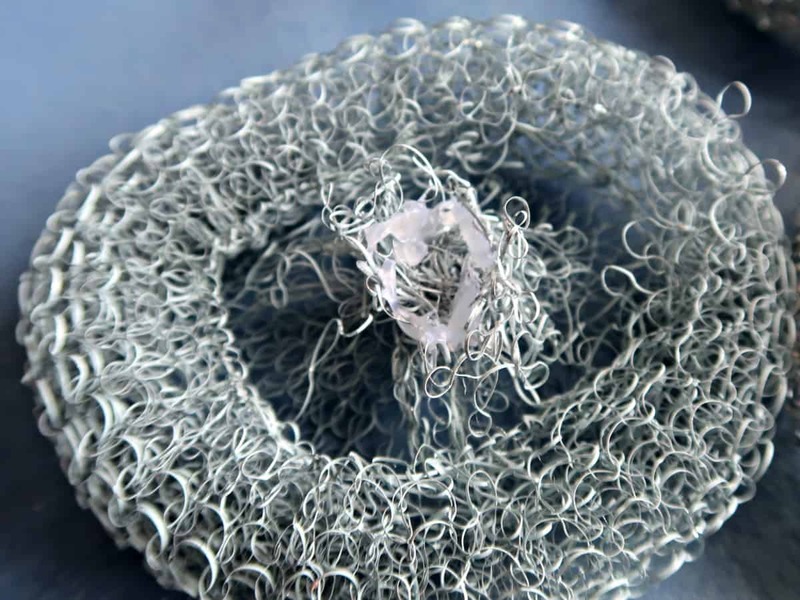 It recently dawned on me that they are made of a knitted wire tube folded in on itself. Since I took my first one apart, I have taken to examining them whenever I see them. You will undoubtedly be subjected to seeing more crafts using these simple kitchen items in the future. The wire scourers I bought are tightly gathered and bound at one end of the tube. 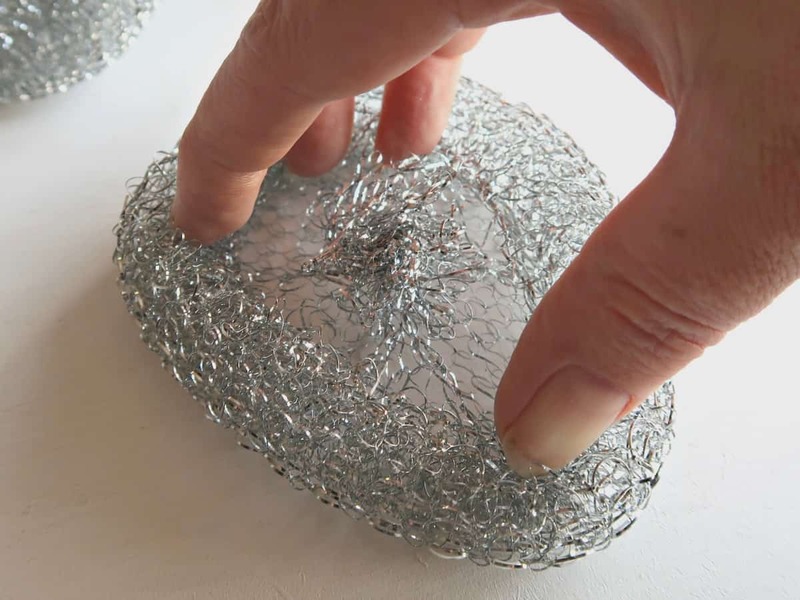 The other is pulled together more loosely using a silver thread leaving a small opening. You can just see in the photo below. Using my fingers, I opened up the hole forming the shape I wanted. Then lightly sprayed my jellyfish bodies using a pale blue craft spray paint. 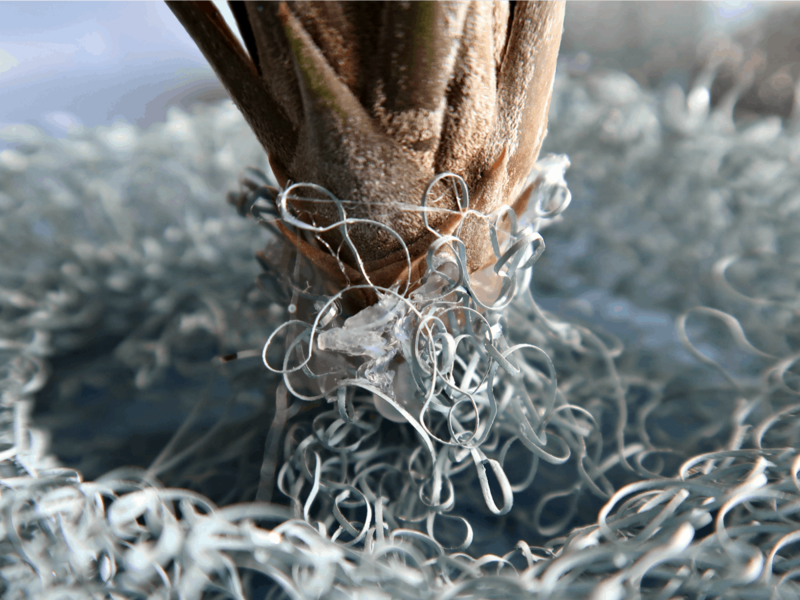 The tightly gathered end of the wire sleeve is where I attached my plants. The advice is to glue around the side of the plant bulb leaving the root base exposed. To make it easier to attach my plants, I started by making a glue ring on the bundle of wire to give myself a cup shape to sit the plant in. Wearing gloves to protect myself, I added more glue and counted slowly to 10. I then attached my plant holding everything in place for a few moments while the glue set. The process was easy, and all the plants adhered well to the wire. 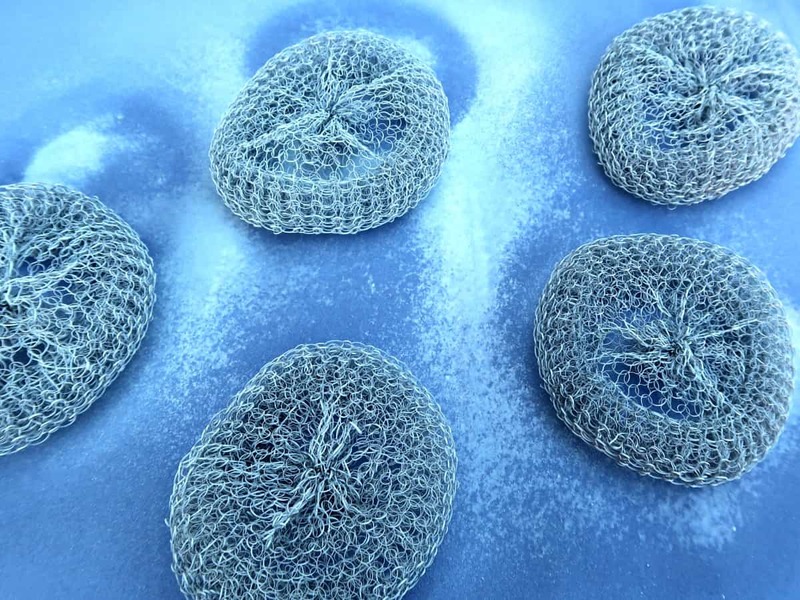 Over time the plants will grow roots which will further anchor them to the mesh. 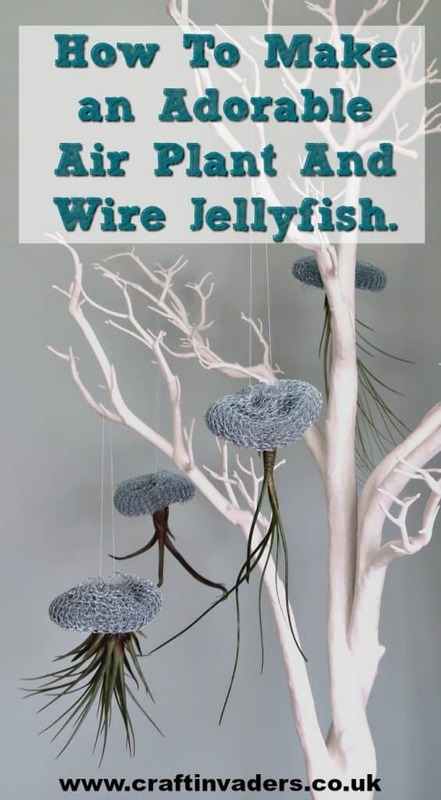 Our air plant jellyfish are suspended on threads and are currently hanging on a decorative twig tree. When it is time to water, we can simply lift them off and submerge them in water before returning them back to their tree. I absolutely adore my new air plant jellyfish, and can’t wait to see how they grow in their new home. If you are looking for some more stylish ways to grow plants check out our birch bark covered flowerpots and our beautiful bulb lasagne. I love it Sarah. We have so many Tillies at home, I’m a little obsessed with air plants 😉 and we’re always trying to find unusual ways to hang them. This is just perfect and they’ll get enough air flow to keep them healthy too. A very ingenious craft and an excellent description.